Developed over more than twenty years to be the solution for academic support centers. The Scheduling, Recordkeeping, and Reporting Solution for the Academic Support Center. For over twenty years, thousands of writing, academic support, testing and advising centers have relied on WCONLINE® to handle their center management needs. Complete, Customized, and All-Inclusive for just $715 per year! Students browse available times, find tutors by specialty or course, and make individual, group, face-to-face, and online appointments. 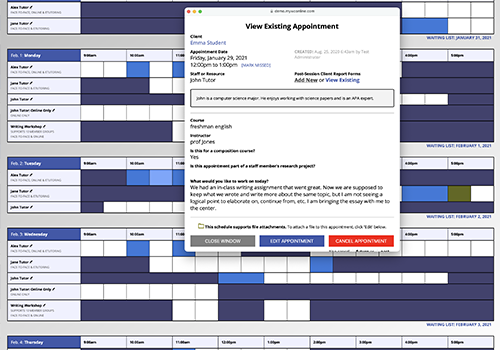 Staff review, manage and enter appointments, students’ histories, and post-session reports. Text-only, accessible, and mobile interfaces are always included. Administrators define registration, appointment, survey and post-session forms, set up no-show and scheduling policies, and implement the included time clock, check-in, early alert, and waiting room. 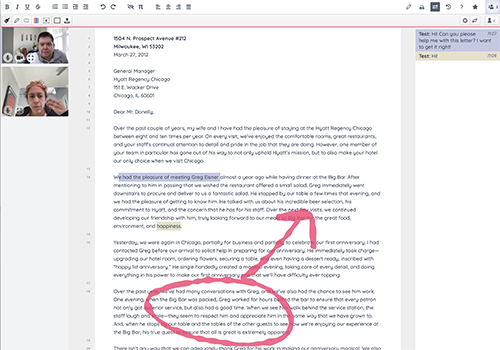 Always included are tools for synchronous online consultations and asynchronous document reviews. Every visit to the center is logged, allowing administrators to collect and review the data that they need. 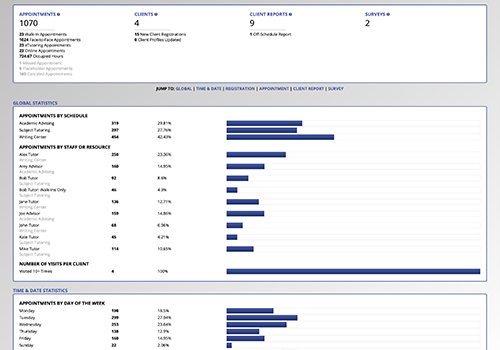 All data is instantly available via custom, graphical reports, collated summaries, and utilization reports. All data can be instantly exported as native Microsoft® Excel® spreadsheets. Designed with the input of thousands of academic centers and continually developed to include twenty years of requests, WCONLINE is the choice for managing academic support, writing, testing, and advising centers. As a completely web-based program run on our highly secure, continually monitored, and constantly audited infrastructure, WCONLINE requires no special software, hardware, or IT support (while maintaining an industry-leading 99.999% uptime). 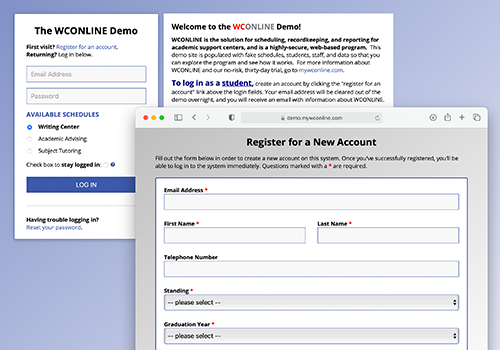 Unlike with most competitors, a subscription to WCONLINE includes support for unlimited numbers of students, staff, administrators, and schedules. Telephone, email, and live chat support, continuous backups, and site-specific customizations are always included. With the availability of a no-risk, thirty day trial, you could be up and running in less than a day.